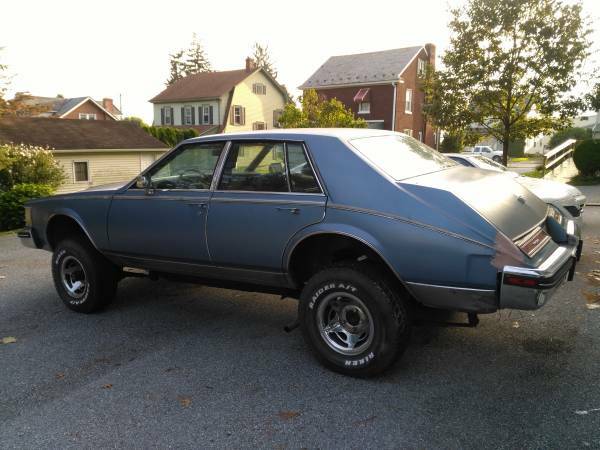 1980 Cadillac Seville body on a 1976 International Scout frame and drivetrain. Runs, drives, and stops fairly well. It is a relief no animals were harmed in making this headliner and rear parcel shelf! 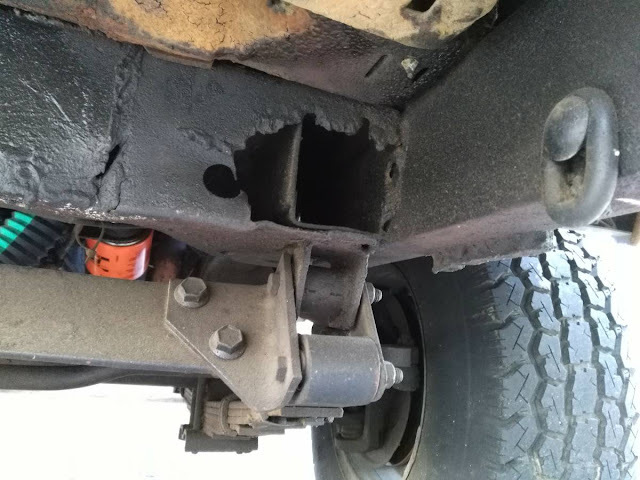 -Main issue for inspection is around the front leaf spring mounts. 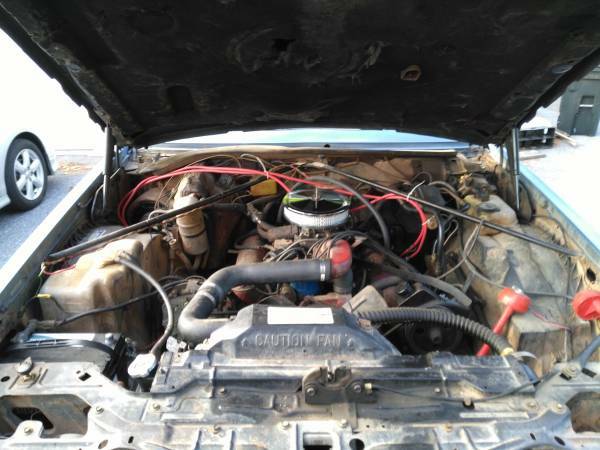 The mechanic said they need some welding and reinforcing where they are mounted to the frame. Shouldn't be a big deal for someone who knows how to weld. -Steering is a little sloppy as is the usual with vehicles from this era. Suspension and steering components are tight. Cory is working on sourcing shift rods and a shifter on German Ebay for his C36 5 speed swap. Umm, so let me get this straight: the "frame is undercoated and in good shape", but the structural cross-member where the springs attach has a hole that your could put your fist in, and the rest of the cross-member shows obvious signs of previous welding. 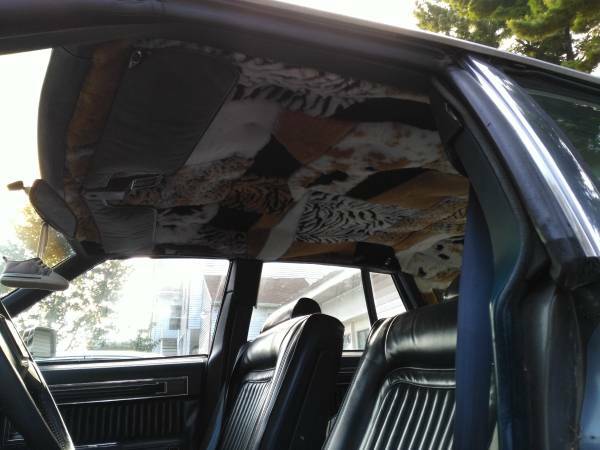 I think I would want to make an independent assessment of this gem before purchase.... Love the headliner though! Hey dad, sister's prom date just showed up. He looks kinda old but his car is totally bitchin'!